This recipe should be illegal! 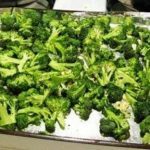 Even those picky eaters who say they don’t like broccoli will love this! 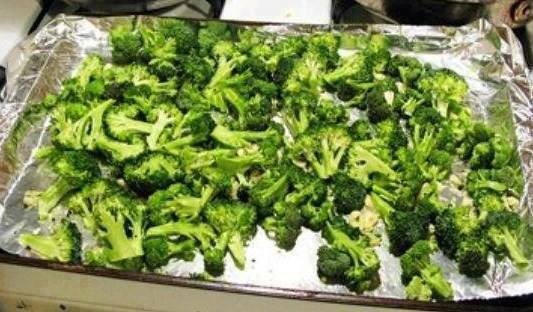 This baked broccoli is also low carb! After trying this recipe you won’t want to eat broccoli any other way. It’s a great side dish and can be eaten as a snack. It’s so easy to change the portion to cook for a crowd. You can add any spices you want in order to change up the flavor! Put broccoli, garlic, olive oil, and a few shakes of salt and pepper in a ziploc bag and shake it up. Spread out on baking sheet, place on top rack, and bake for about 30 minutes at 350 degrees.